Have you ever wondered which theme parks are the best in the world? 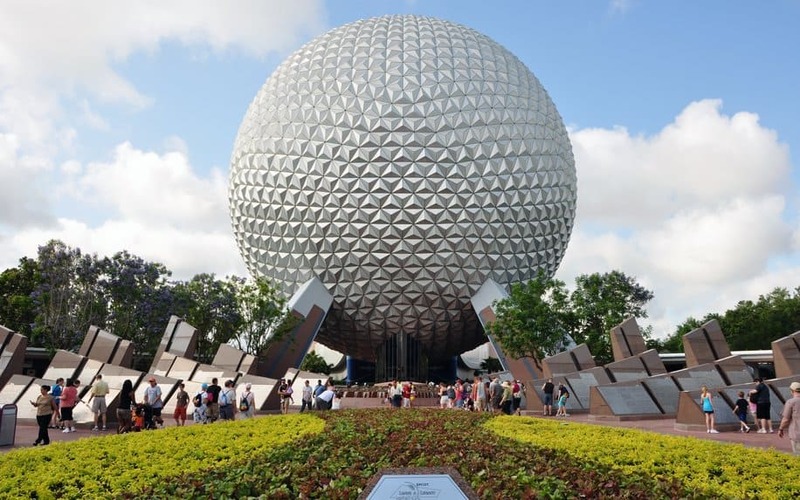 Patrons can find theme parks almost everywhere they go, but which is truly the best? We now have the answer. Based on calculations of total visits last year, we now have a list of the most popular theme parks in the world. Each featuring dozens of rides and attractions that bring in millions of visitors per year, here are the world’s Top 20 Most Popular Theme Parks in the World. 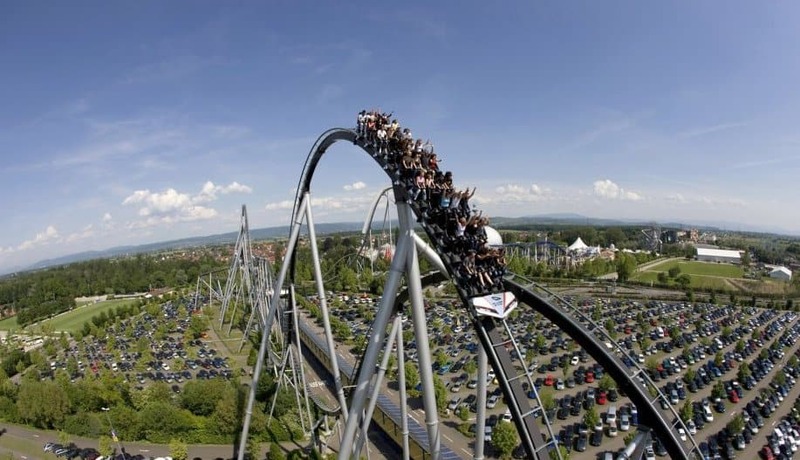 Europa Park comes in at number 20 on our list, and happens to be the largest theme park in Germany. It is also the second most popular theme park in Europe behind Disneyland Paris. Boasting 12 roller coasters and around 5 million visitors per years, it’s clear that Europa Park earns a spot on this list. At over 200 acres in size and located in Florida, this aquatic-life themed amusement park comes in at number 19 on our list. 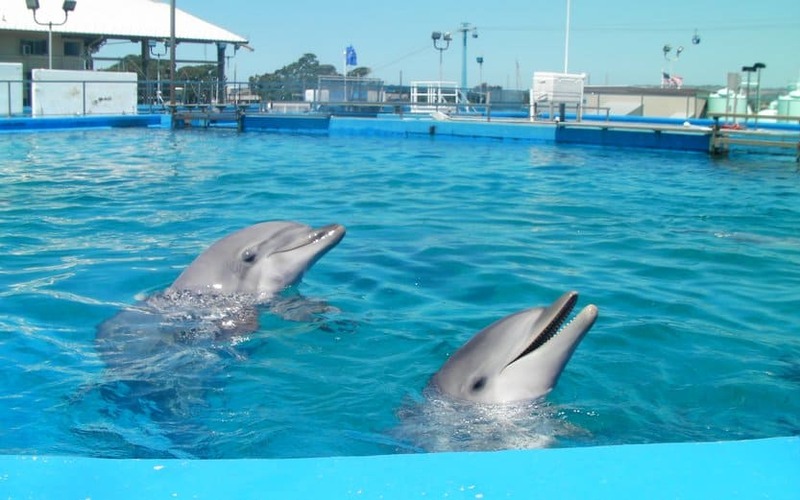 Home of numerous themes and attractions, most of which feature live animals as part of the performance, Sea World attracts over 5 million visitors per year. 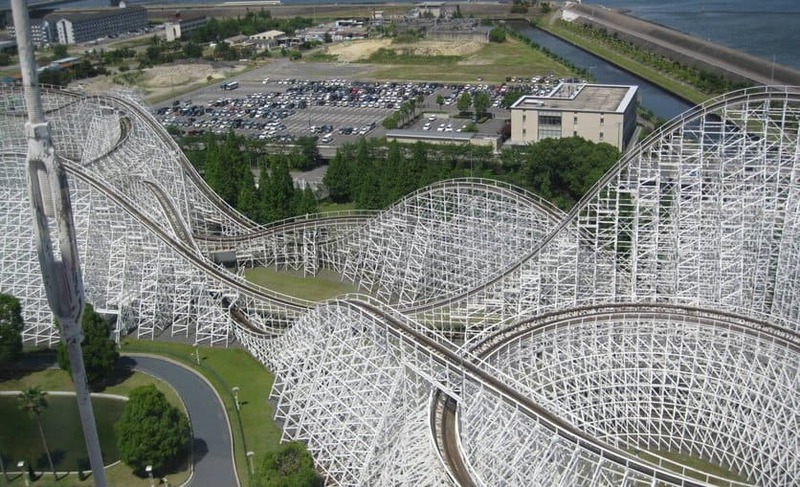 Home of the Steel Dragon Rollercoaster, Nagashima Spa Land comes in at number 18 on our list. It also features a giant roller coaster, waterpark, and over 40 other rides and attractions. 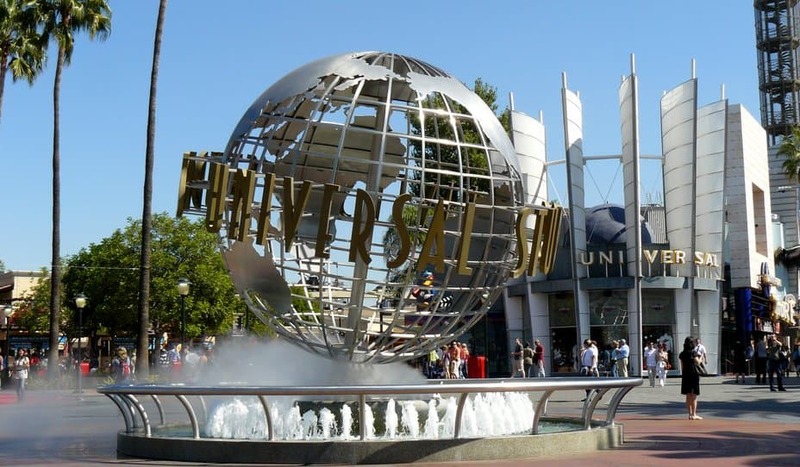 Originally created by the studio in the 1960’s to offer tours of actual film shoots to those willing to pay the price of admission, Universal Studios Hollywood comes in the number 17 spot on our list of most popular theme parks. Not only is it located in tinsel town, Universal Studios boasts 7 rides at present, with two more on the way. 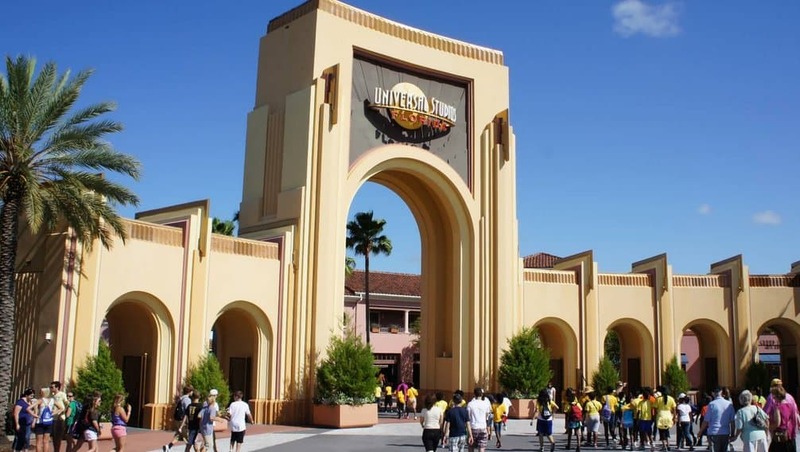 With over 7 million guests annually, Universal Studios Florida comes in the number 16 slot on our list of most popular theme parks. Opened in 1990, this theme park invites its guests to “ride the movies” and boasts numerous rides and attractions based on movies produced by Universal Studios. 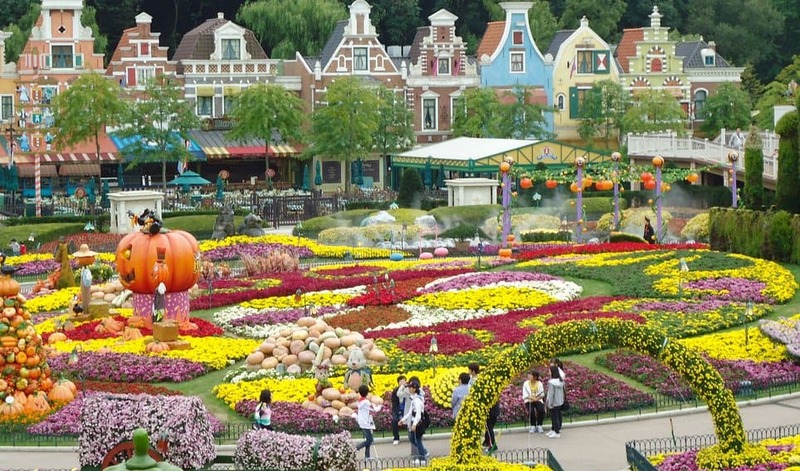 Coming in the number 15 slot, Everland happens to be South Korea’s largest theme park. Part of the Everland Resort in Tongin, Everland brings in over 6 million visitors a year. It has 5 roller coasters, including “T Express” which is the fastest roller coaster in South Korea that also happens to be the world’s steepest wooden roller coaster. While it isn’t South Korea’s largest theme park, it is the world’s largest indoor theme park. 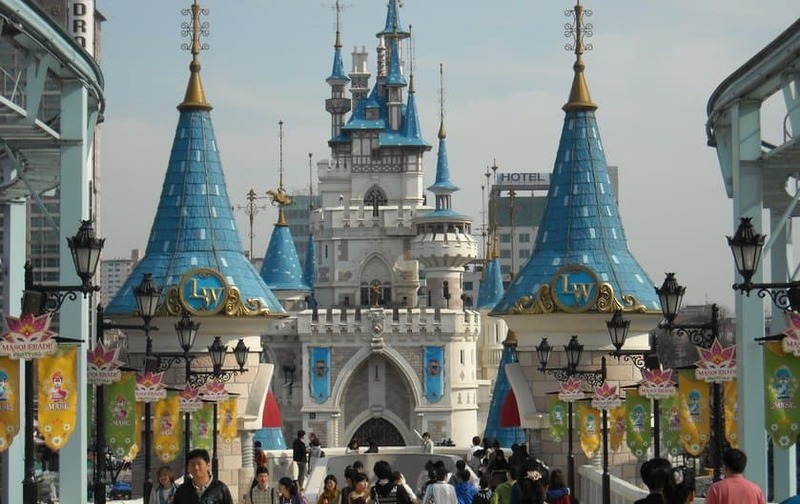 Originally opened in 1989, Lotte World brings in over 8 million visitors a year and has rides, movie theaters, shopping, and a monorail to transport you around the park. 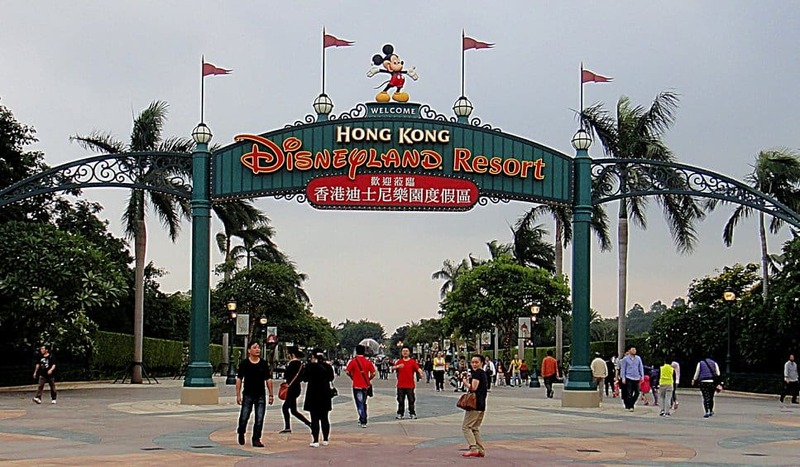 Sitting on over 120 acres, Hong Kong Disneyland is the first of several theme parks in the Hong Kong Disneyland Resort. Consisting of seven themed areas, including Main Street U.S.A. and Toy Story Land, this theme park brings in 8 million visitors a year. 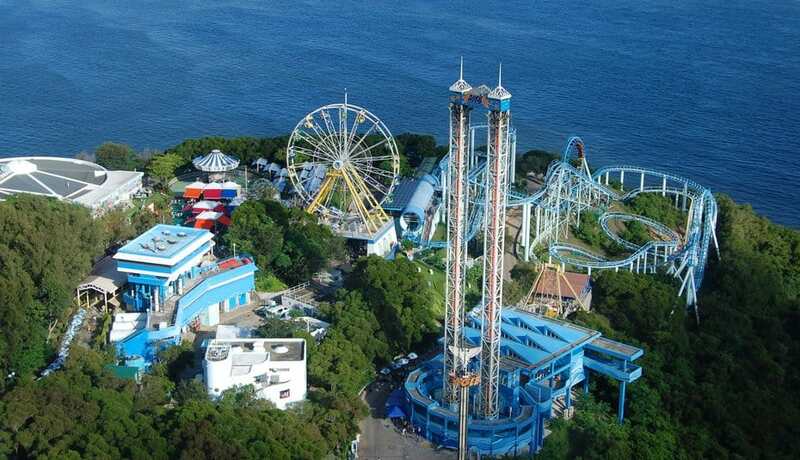 Located in the Southern District of Hong Kong, Ocean Park comes in at number 12 on our list of top theme parks. It was originally opened in 1977 and, believe it or not, boasts over 80 rides and attractions – all built around an aquatic theme. One of the newer parks on our list, Islands of Adventure was opened in 1999 and is part of the Universal Orlando Resort. Operating under the park’s slogan of “Live the Adventure”, this theme park offers 16 enormous rides (including Marvel Super Hero Island) and brings in over 8 million visitors annually. 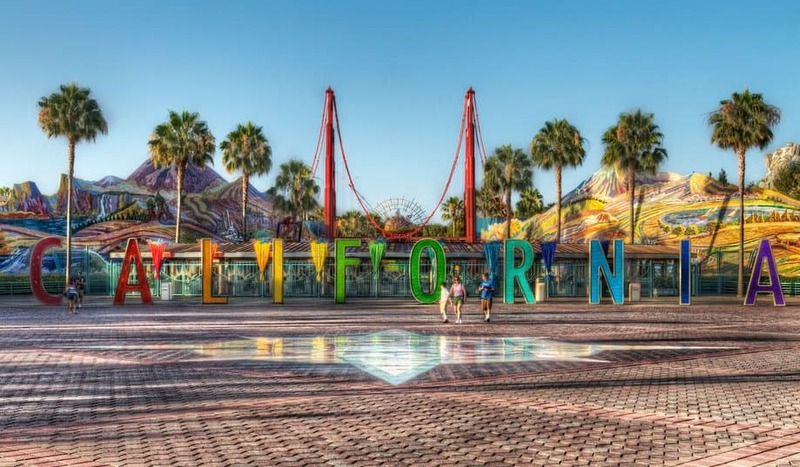 More commonly known as simply “California Adventure”, this 72 acre theme park owned and operated by Disney opened its front gate in 2001 and has been thrilling over 8.5 million visitors a year ever since. 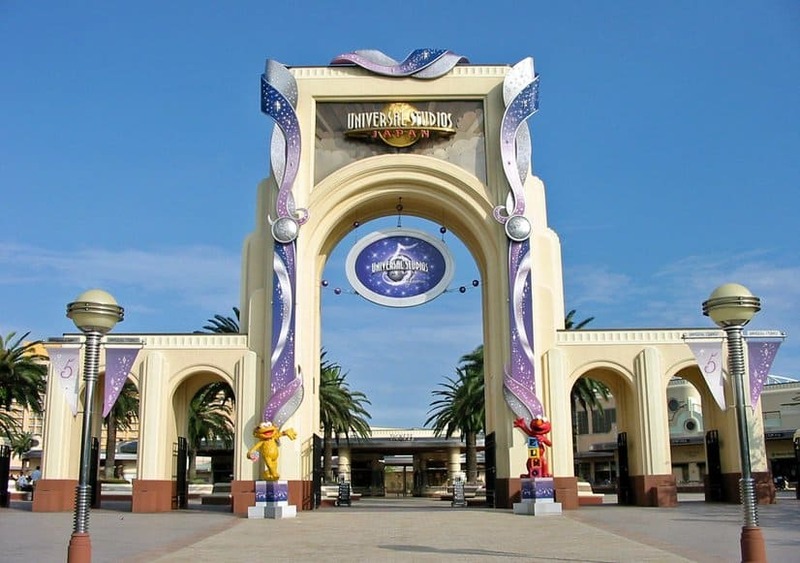 Located in Osaka, Universal Stuidios Japan will have a similar feel to visitors from the U.S. – it is modeled after the Universal Orlando Resort located stateside in Florida. 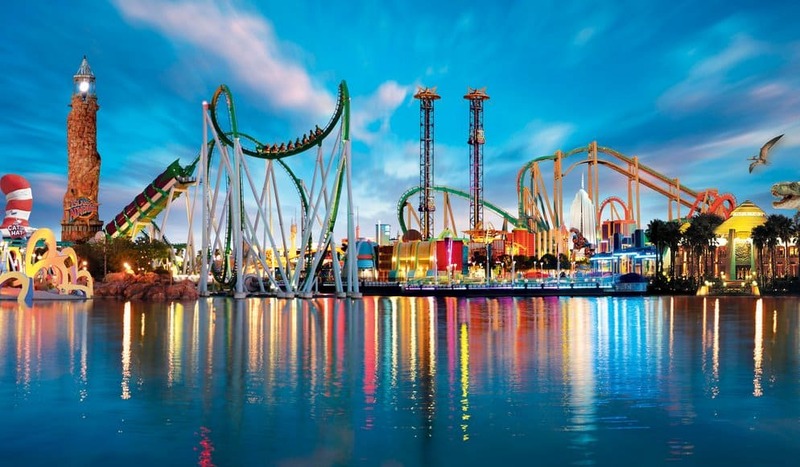 This theme park has entire areas devoted to themes like “New York”, “Jurassic Park” and “Harry Potter.” At over 100 acres in size and bringing in over 10 million visitors a year, it’s not surprising that Universal Stuidios Japan Comes in the number 9 spot on our list. Want to visit a theme park possessing all the magic of Disney, with a Hollywood twist? 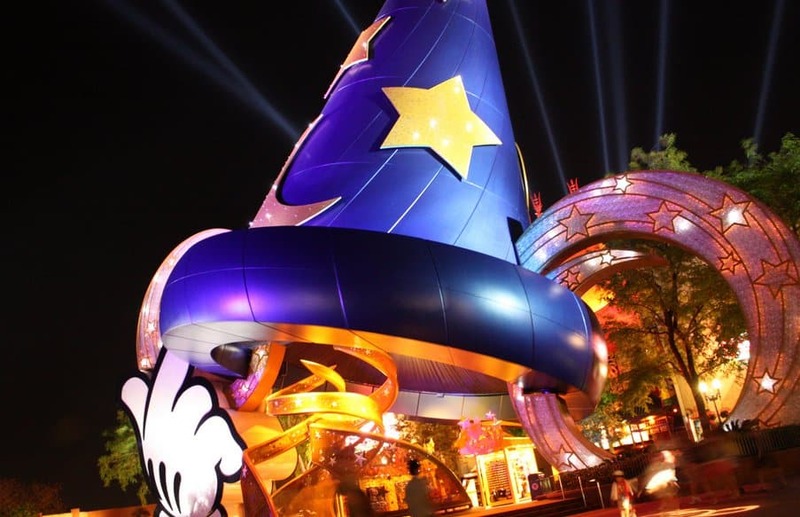 Then Disney’s Hollywood Studios in Orlando, part of the Walt Disney World Resort, is the theme park for you. Opening in 1989 and boasting over 10 million guests per year, this park has loads of live entertainment as well as attractions like the Twilight Zone Tower of Terror. Part of the Walt Disney World Resort in Orlando, number 7 on our list has something truly unique to offer patrons: guests can have hotel views of animals wandering by right outside their rooms. Needless to say, if you fancy being able to see giraffes right outside your window when you wake up in the morning, then this is the theme park for you. 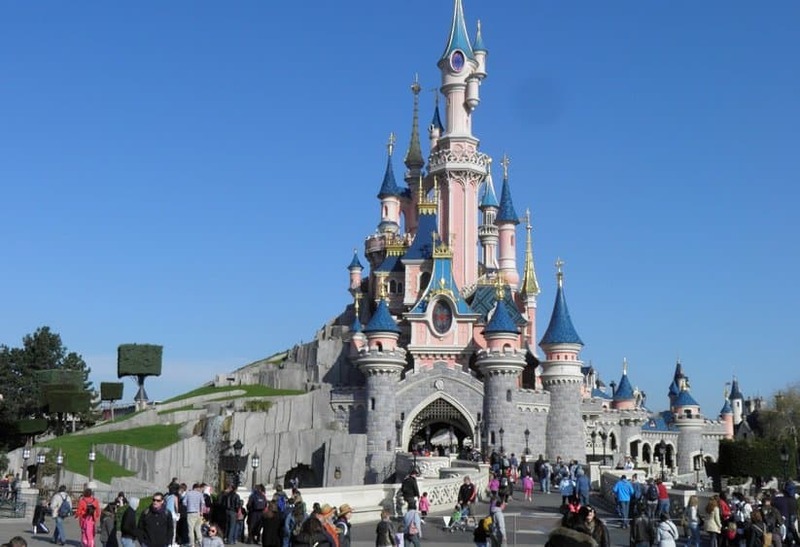 Disneyland Paris, coming in at number 6 on our list, is the second most popular Disney theme park in the entire world. Located just 20 miles from Paris, France, this Disney theme park with a European twist. However, despite being located in Europe, Americans will feel right at home as the park has several rides also found stateside including Space Mountain and Pirates of the Caribbean. Number 4 on our list was the fastest theme park in the entire world to reach a total of 10 million visitors: Tokyo DisneySea located in Urayasu, Japan. 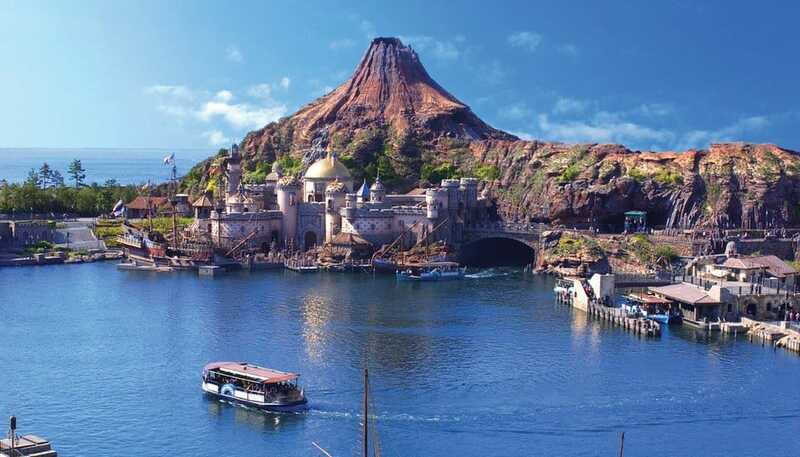 Revolving around a “nautical” theme, Tokyo DisneySea features 7 different “Ports of Call” that thrill visitors with various rides and attractions including Mermaid Lagoon and Mount Prometheus – a giant manmade volcano. 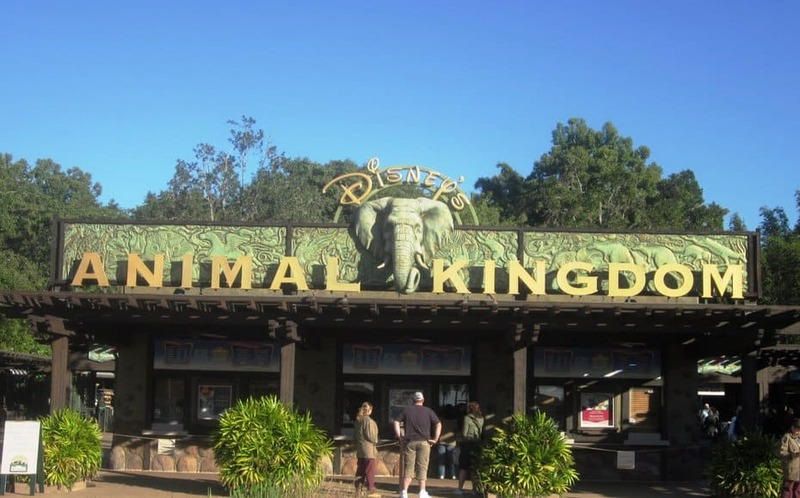 This is the Disney theme park that started it all. 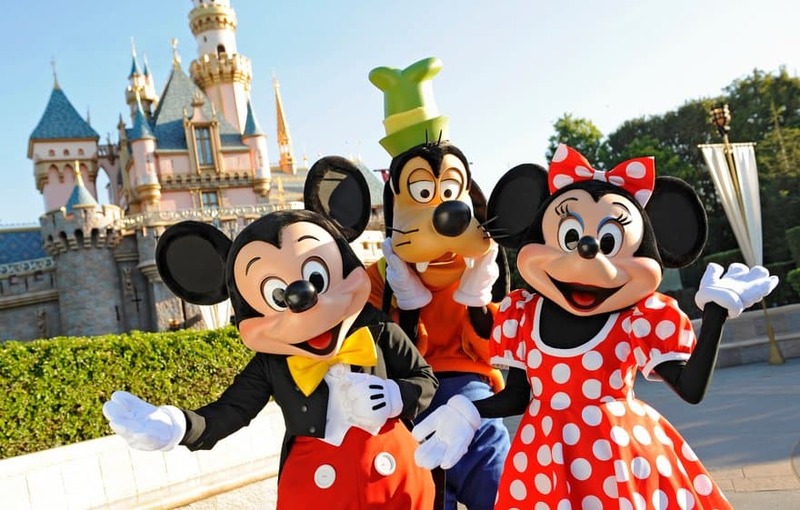 Opened in 1955 by Walt Disney himself, Disneyland is located in Anaheim, California and is over 150 acres in size. It was also originally unveiled on a live television event on ABC. With plenty of themed areas to thrill children and adults alike, such as Main Street, U.S.A. and Tomorrowland, it should come as no surprise that the original Disneyland comes in at number 3 on our list. The first Disney-theme park to be opened outside the United States, Tokyo Disneyland comes in at number 2 on our list of popular theme parks. Modeled after the original Disneyland, it too features several themed “areas” within the park operated around themes like “Tomorrowland” and Mickey’s Toontown. 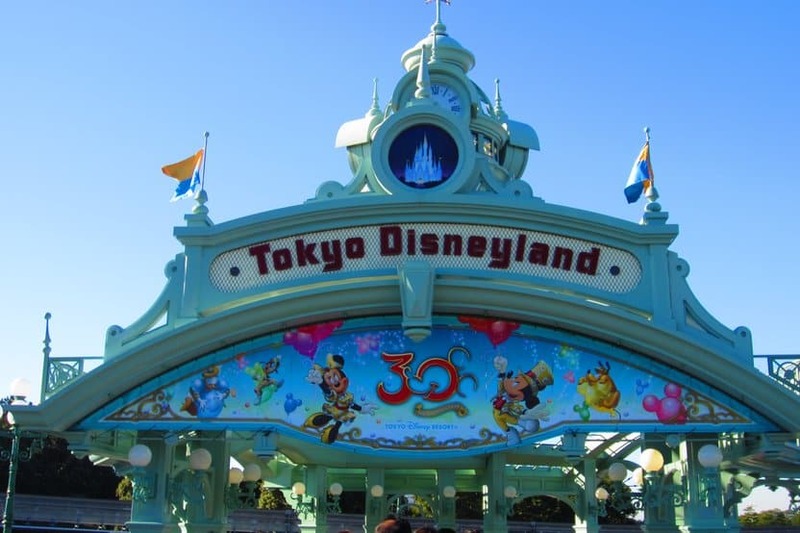 Originally opened in 1979, it should come as no surprise that it earns a top spot on our list as Disneyland Tokyo attracts over 17 million visitors a year. That’s right, you guessed it. 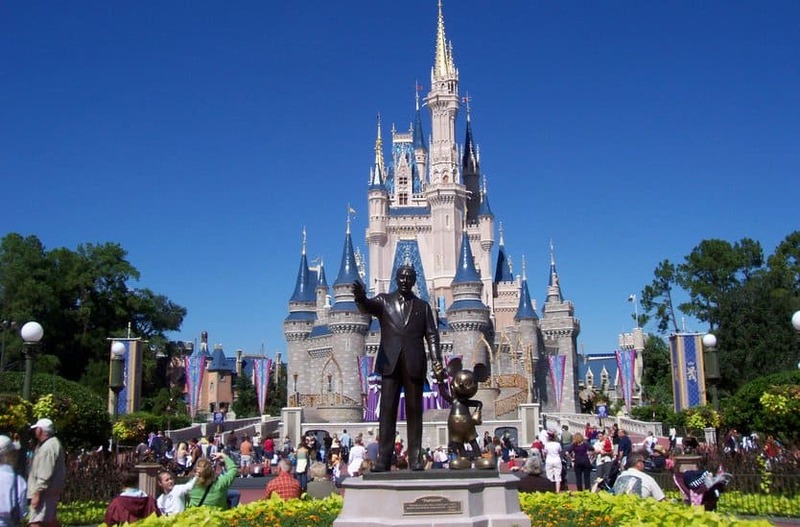 The most popular theme park in the entire world Is Disney’s Magic Kingdom, which attracts over 18.5 million visitors per year. Part of the Walt Disney World Resort in Florida, the Magic Kingdom centers around the Cinderella Castle which is a massive replica of the castle seen in the classic Disney Film. The Magic Kingdom also features the famous “Partners” statue of Walt Disney walking and holding hands with Mickey Mouse.